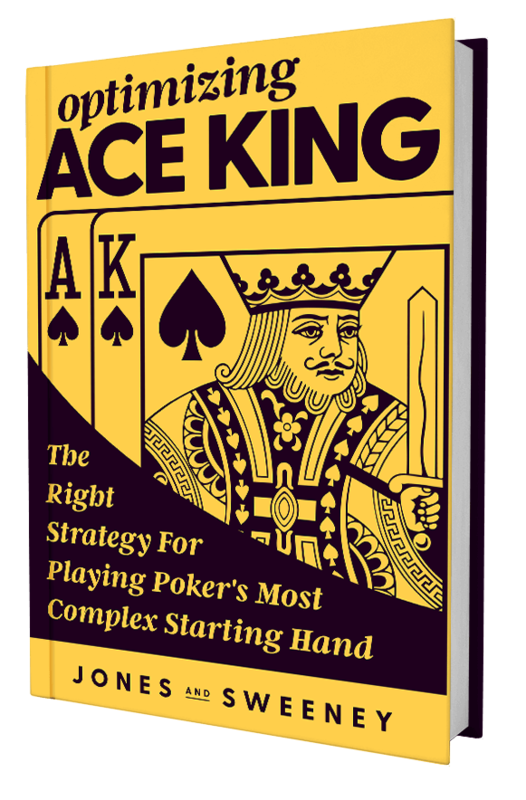 Want to borrow my Ace King playbook? I show you what the interface is all about and how to get started using this powerful piece of software. Hint: If you drag Flopzilla out wider to the right and also downwards, you actually get more options and flexibility! This is especially powerful if you want to have an idea how your opponent’s range is going to hit or miss the flop. You can do this with a specific flop or remove the flop and see how the range hits an average flop. Now we get into the powerful usage of this software. Learn how to analyze spots with your hand vs their range on a specific texture. By doing this kind of work you can see how your hand performs against your opponent – both going into the flop and against very specific continuance ranges given the exact postflop action. Learn how to use continuance ranges to not only be more technical in your analysis, but to also ensure you full know how that continuance range hits future cards. Doing this incorrectly will give you awful results and lead you down the wrong path – so make sure to pay attention here! Are Poker Workbooks For You? Ask Your Poker Question Here. Having problems with your order? Have questions? Just contact me here and I will respond ASAP.